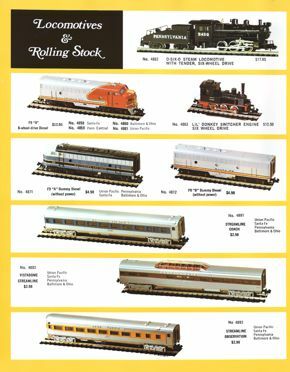 This version is printed on thinner, glossy-finish paper. 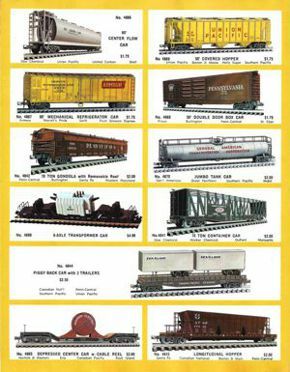 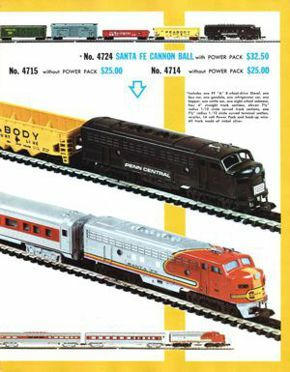 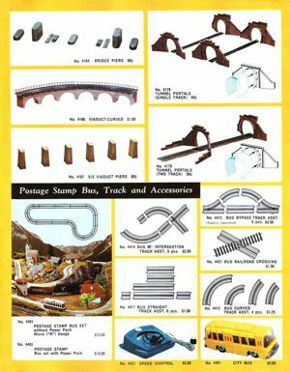 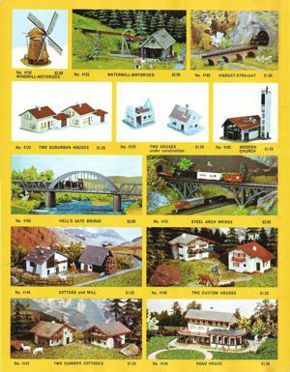 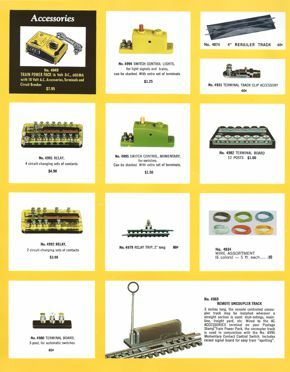 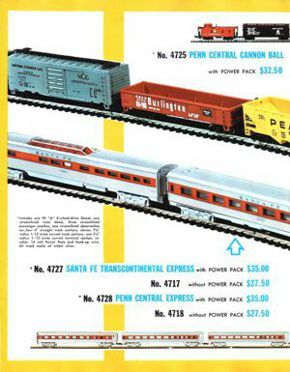 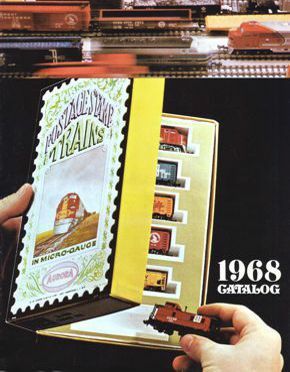 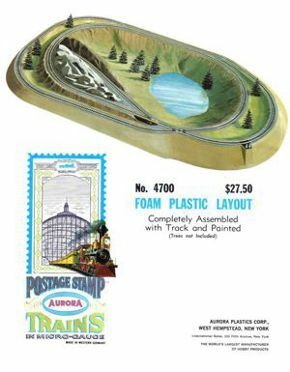 The cover was revised slightly—the photo was retouched to separate the edges of the set box from the black background (more evident in the enlargement); some train sets changed; most of the photos on page 8 are different; lots of new freight cars were added; the price for the rerailer was moved (not changed); the structure kits and bus system replace the track plans of the earlier version; and the prefab layout was pushed to the back cover. 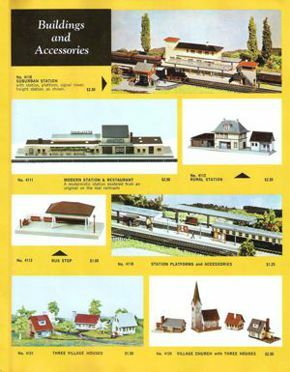 Only the revised pages are shown, and link to larger images.